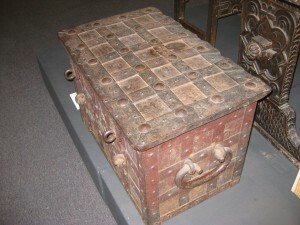 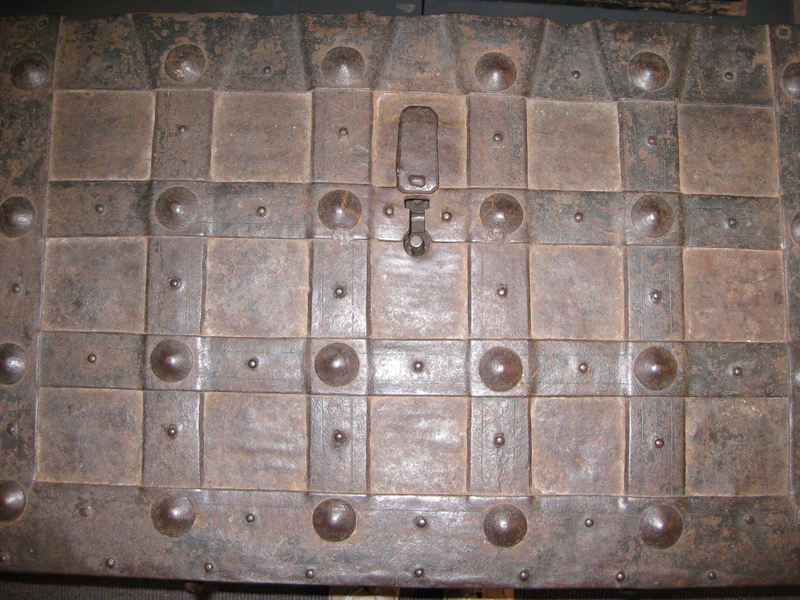 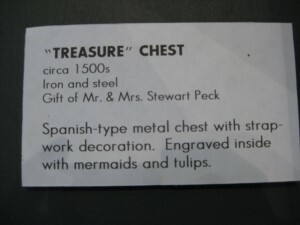 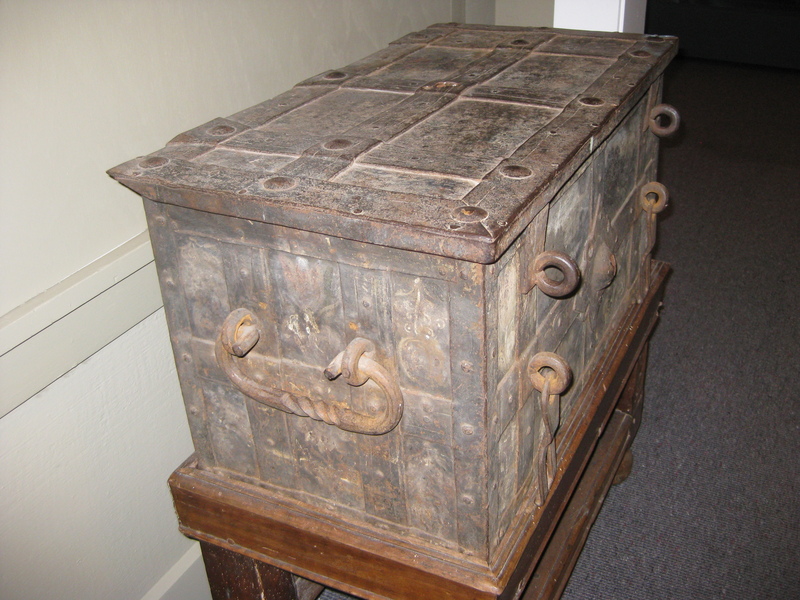 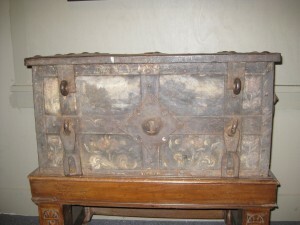 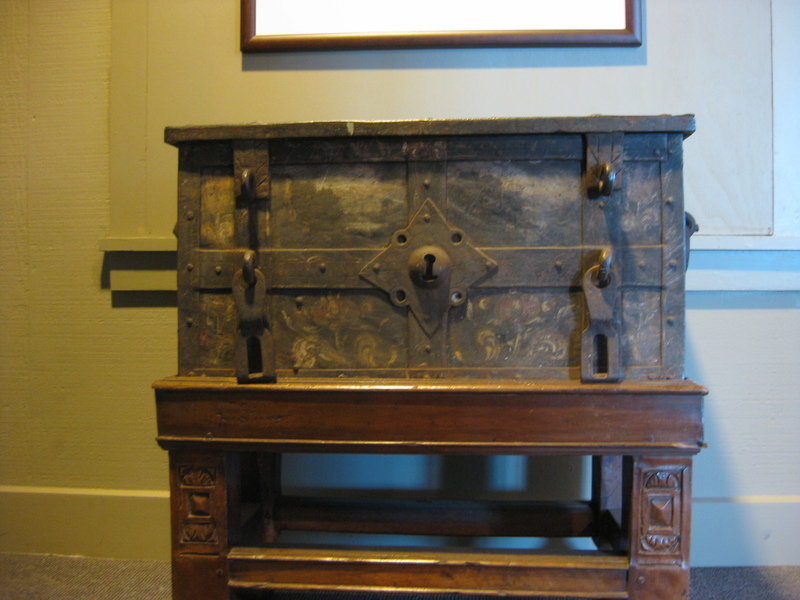 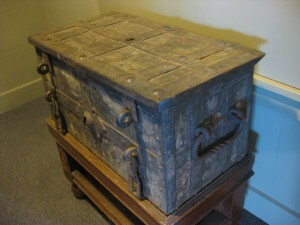 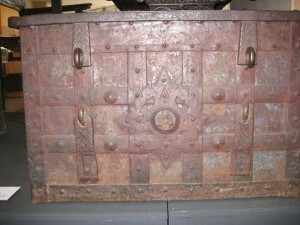 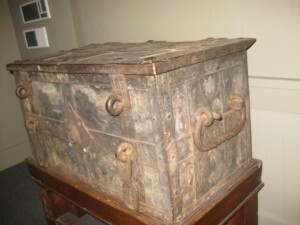 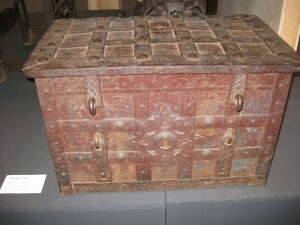 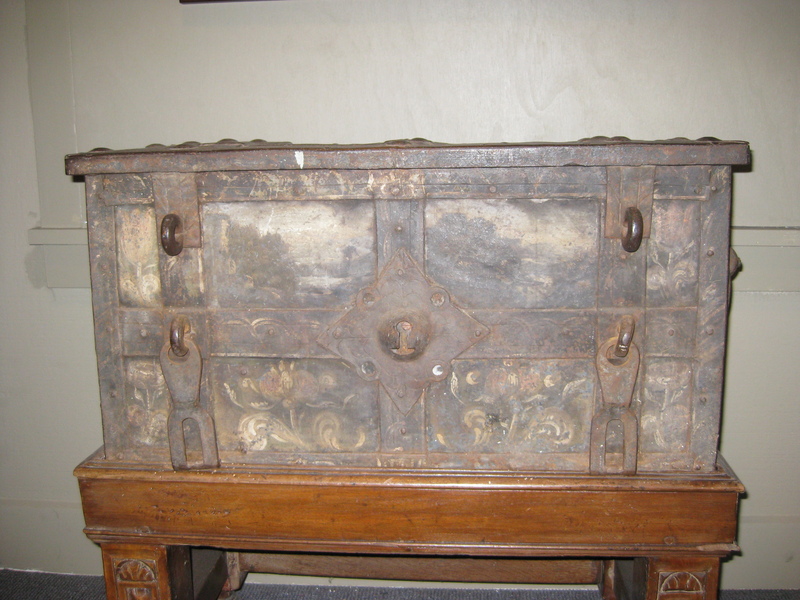 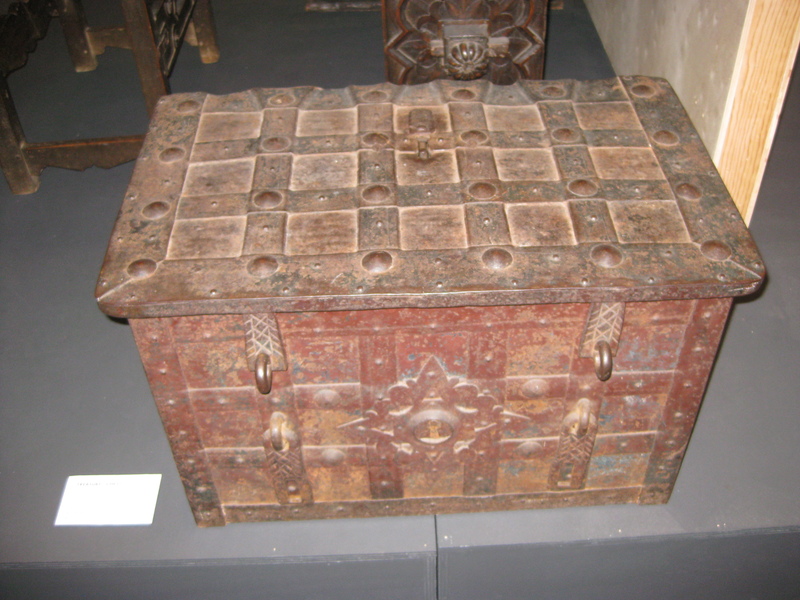 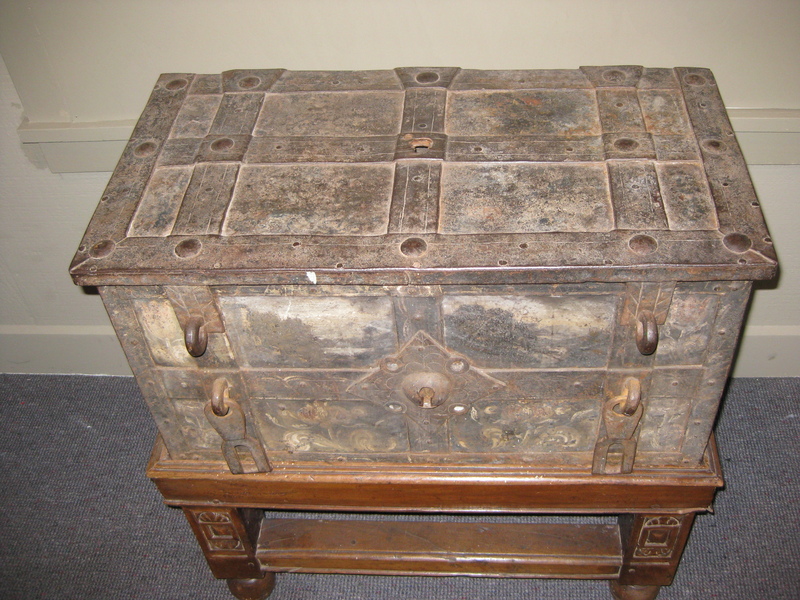 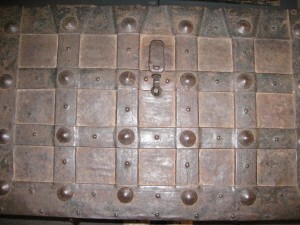 Here you will see 2 different treasure chests from a museum near Monterrey, CA. 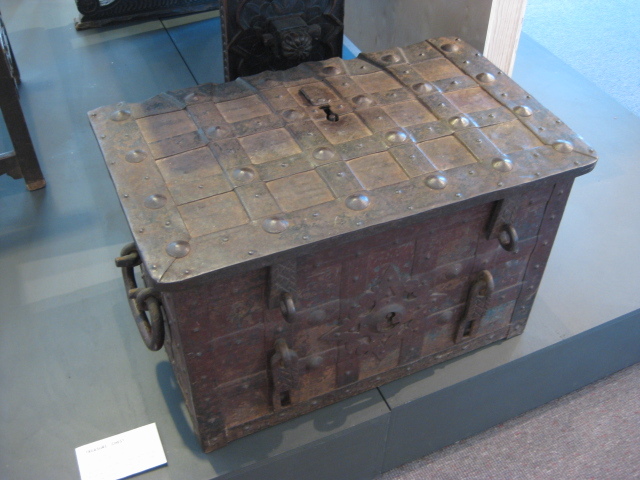 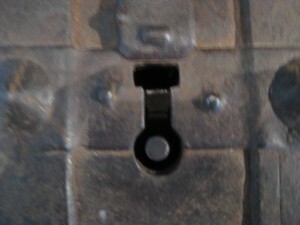 These are more likely strongboxes for the captain of a sailing vessel. 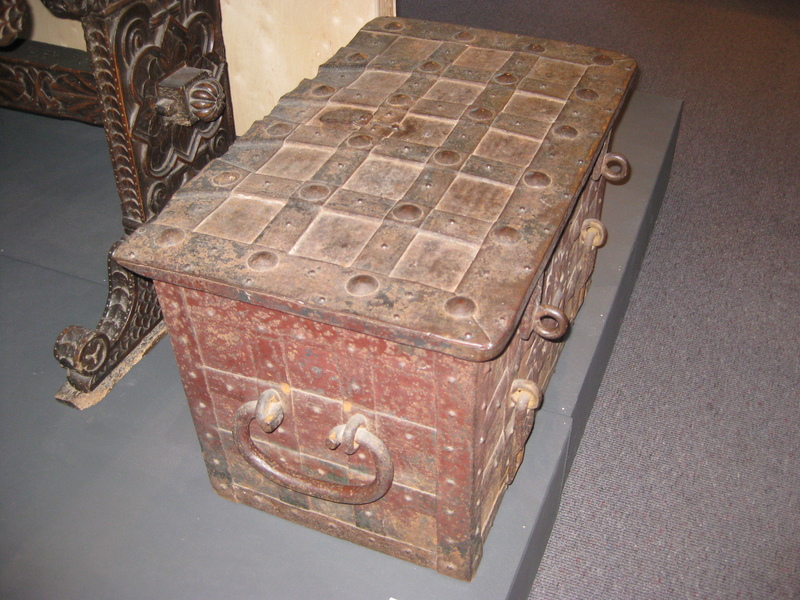 Using banded iron and handles on two ends, these were stout and built to last. 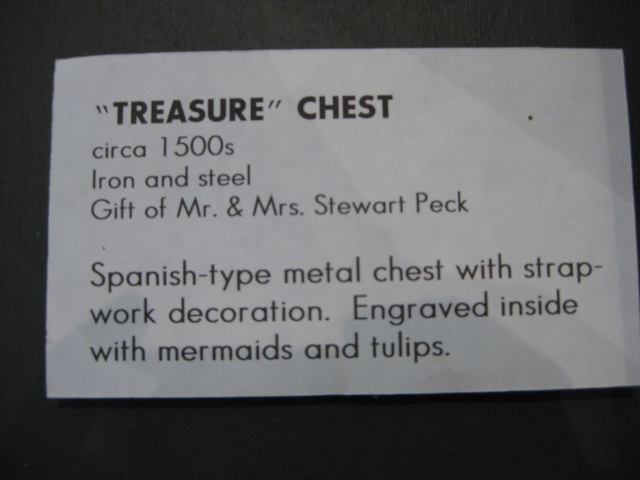 Likely required two persons or more to carry.